Come to know the mother of Jesus as the early Christians once did. Some Christians have piled the status of the mother of Jesus so high that it rivals that of her Son. Others ignore the Virgin Mary entirely. Behind all of the images is a girl who grew up to be the mother of Christ. How did the first Christians view her? What were the commonly understood facts about the Blessed Mother’s early life — before the Annunciation? How did Mary, the mother of Jesus, become the Theotokos? 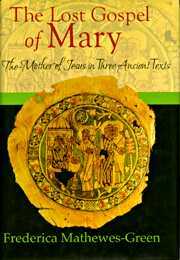 Frederica Mathewes-Green opens up the Virgin Mary’s early life, offering a window into her centrality to the Christian Faith in new and sometimes startling ways.